Along the way, I've gathered lots of useful resources and tested products for myself and for my clients. Here I share them with you as they could help when you have days where you need a pick-me-up or some solid health guidance or just want to live a cleaner, less toxic life. Magnesium is essential for optimal body functioning and spraying it directly on to aches and pains, gives pretty much instant relief. Stick this in your bag and use it whenever you need a quick fix. 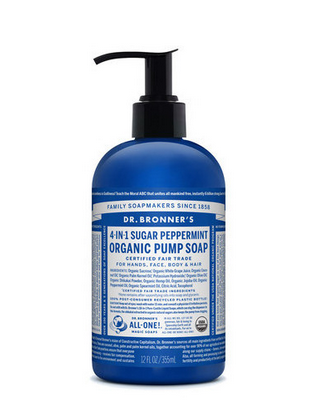 Love Dr. Bronner non-toxic Products for use on the skin and hair. The smell of this will suit everyone in the family. Caim & Able Bath Salts in Lavender & Rosemary are my go-to at the end of a tiring day. Bathe in them to ease tired muscles and the lavendar scent makes for a more restful sleep. The practice of mindfulness should be an essential part of our everyday routine. It benefits our mental and emotional health, improving our positivity and ability to cope with life, and it relieves stress. A natural form of anti-depressant, daily mindfulness is also proven to boost our immunity.